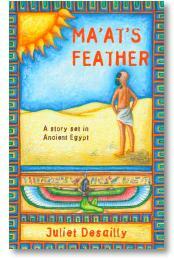 Qen is a boy who lives in ancient Egypt. His family are farmers and he is happy helping on the farm. When the River Nile floods and they can’t work in the fields the men help building a new temple and Qen longs to be big enough to help.